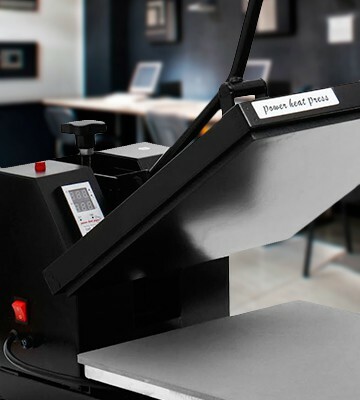 Once you discover the benefits of using a heat press you will want to use it all the time. This is a brilliant way of customising your own clothes or of starting up a fun, creative business. Yet, before long you may start wondering whether you can use your machine on certain fabrics. Wouldn’t it be great if you could work on any type of material that you choose? Sadly, this isn’t always the case. A heat press machine will work better on some fabrics than on others. Natural fabrics such as cotton tend to be best As well as arguably giving better results, this sort of material also has less chance of suffering damage during the heat transfer process. However, the huge popularity of synthetic garments means that it is natural that people want to use a heat press on these as well. 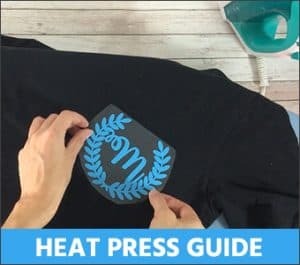 One of the most popular questions in this respect is, “Can you heat press polyester?” With many t-shirts and other garments now made out of this fabric it is important to understand what will happen if you attempt to put a cool design onto some polyester clothing. Will it burn or crinkle up? Maybe the transfer simply won’t stick to the material as well as it would on other types of fabric? 1 It Can Be Done! 8 Can You Fix the Damage Done? 9 So, Can You Heat Press On Polyester? The Conclusion! The first point we need to look at is that it certainly isn’t impossible to heat press polyester. If you want to add some style and unique touches to a t-shirt made out of this fabric then you shouldn’t be afraid of doing so. Having said that, there are definitely some points to take into account before you get started. This type of material is tougher to work with than cotton, for example. 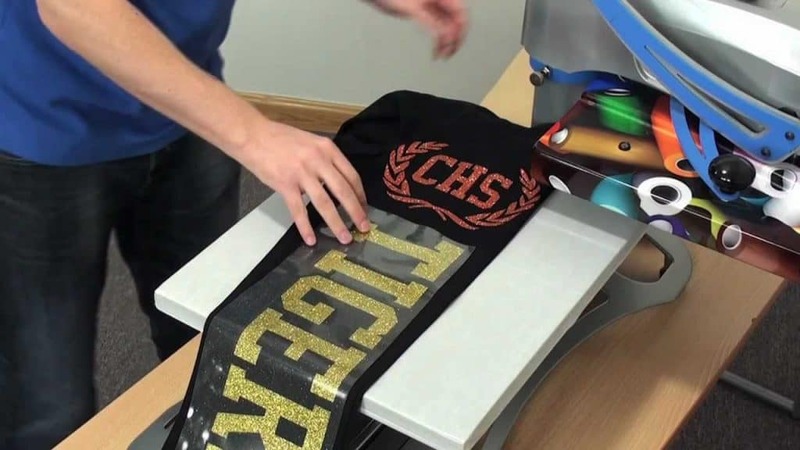 Ideally, you will be comfortable using your heat press machine before you try it on polyester, as it does require a good degree of experience and confidence to work with. By being careful and understanding a few basic points you can heat press polyester. Before long you could be producing wonderful designs on polyester clothing without too much stress or hassle. Before you get to that stage, let’s start at the beginning and see what this is all about. What factors do you need to take into account? 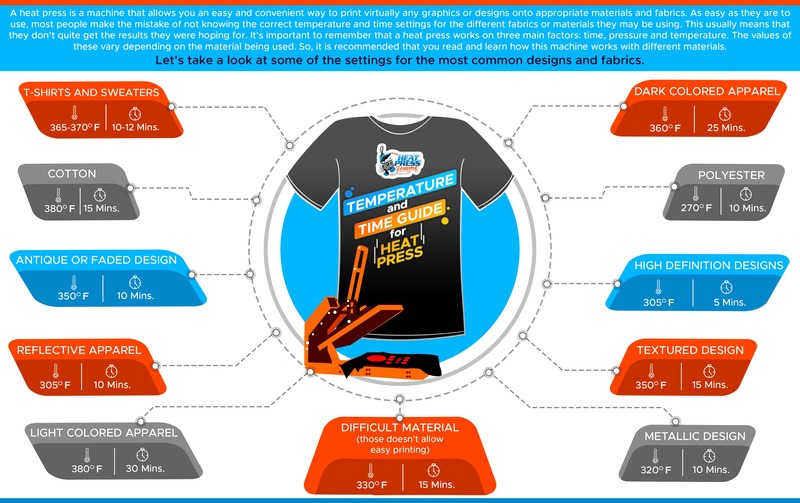 Heat presses work by getting up to a very high temperature. This allows the transfer to stick to the fabric perfectly. They simply wouldn’t work as well at a lower temperature, as the transfer wouldn’t adhere to the fabric as firmly. The problem is that not all types of material react in the same way to such high temperatures. Polyester is among the most sensitive types of fabric that can react badly to excessive heat, especially if applied for a long time. This can lead to the material getting too hot and melting. This may cause fairly minor damage such as a slight crinkling in one area. In other cases, it could lead to the entire garment being ruined due to the damage done. In other situations, the polyester might end up with a glossy, shiny patch on it. It might even end up getting burned if the temperature is too high for too long. If you want to heat press polyester then it is best to stick to a slightly lower temperature than you would use on more heat-resistant fabrics such as cotton. In general terms, somewhere between 270 and 300 degrees is likely to be ideal. In addition, you won’t want to keep the heat applies for too long. Usually, the recommended heating time for polyester is slightly less than for more resistant materials such as cotton. 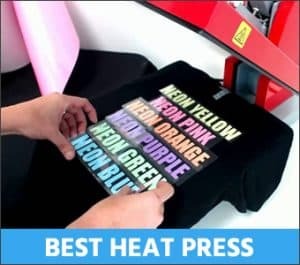 DON’T MISS: The Top Rated Heat Press Machines For Beginners! Sure, you can heat press polyester in general, but can you heat press polyester on the exact garment that you want to use? This might not sound logical but the truth is that different items of clothing can react differently to the heat pressing process. This comes down to various factors, such as the percentage of polyester used in the material. Because of this some t-shirts and other clothes might scorch and melt at a far lower temperature than others. Therefore, the first thing to do is give the fabric a trial run. Test out your heat press with a sample of the polyester you want to use. How does it look afterwards? Use a temperature at the low end of the scale mentioned in the last point – 270 degrees, for example – and see what happens. If you are using a spare piece of fabric then you can gradually increase the temperature until you discover the exact point at which it gets damaged. 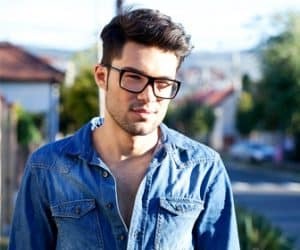 If you are doing this for a big collection of identical polyester garments then it makes sense to be fully confident of success right at the beginning. Even if you damage one item, it will be worth it to see what the perfect temperature is going to be for the rest of them. If you use a temperature that is too low then the transfer process might not work properly. So, it is a good idea to try and find the ideal temperature that gives you the best possible results. The amount of pressure applied when heat pressing polyester can also be a problem. This typically results in a shiny mark that only gets worse over time if you try and iron it away. Therefore, applying as little pressure as possible during the process is the key to success here. As with the temperature, it is all about finding the perfect balance for the results you desire. You need to apply enough heat and pressure for the heat press to work effectively and adhere correctly. Yet, too much of either and you can end up with damaged goods that need to be thrown away. As mentioned earlier, trial and error is often the best way of approaching this. For example, if you have a big batch of similar t-shirts to do then try one. Before doing the others let this first one settle. It will be clearer after a few minutes whether it has suffered any lasting damage or if it has come through unscathed. If it is fine then you will have found the right approach. If not, it is time to try again with a lower temperature or some other change. Dye migration is something that can happen when you heat a garment during the process of heat pressing. This can lead to the t-shirt or other piece of clothing becoming ruined as the image or words gets all messed up. Can you heat press polyester t-shirts that have a lot of dye in them? You can but it does add another complication to the process. Problems caused by dye migration can happen on different kinds of material but it is an especially common issue with polyester. It is most likely to occur on fabrics that have had a large amount of dye added to them during their creation. The biggest issues tend to be with sublimated fabrics. One way of seeing how at risk a garment is of the dye migrating is by looking at both sides, For example, a t-shirt is more at risk if the inside is a solid block of colour but the outside is heavily patterned. However, the good news is that there are special types of transfer that work best with this kind of material. You should check the manufacturer advice on each one you look at. While it is true that you can heat press polyester, it is also worth mentioning that the success depends upon the different type of transfer used. There are a number of different types on the market and not all of them are equally suitable for this kind of fabric. Again, this largely comes down to the temperature that the transfer needs to work at. As we have already seen, polyester tends to need lower temperatures than some other materials that you might also use with this process. Because of this, the best types of transfer are those that are designed to work well at lower temperatures. In this way you will be sure that the transfer will adhere perfectly without causing any damage to the garment. If you use a type of transfer that is designed for higher temperatures then one of two things is likely to happen. Either the polyester fabric will be damaged or else you will need to lower the temperature and the end result may be disappointing because of this. Another issue to look at is around the cover sheet that you use. These go over the heat transfer during the heat printing transfer and carry out the function of stopping the fabric from scorching of melting. This means that it is a good idea to use a cover sheet, as it will protect your polyester garment. With the addition of this extra barrier you can expect your clothing to come through the process without suffering any damage. However, the cover sheet can also stop the transfer from being applied properly. This is because it can stop sufficient heat from getting through to the clothing underneath it and doing its job. Thankfully, there is a variety of different types of thickness for you to choose from. You might like to try a few in order to discover the perfect thickness through a process of trial and error. Generally speaking, the thinner cover sheets tend to work best with polyester t-shirts. They will still protect the garment from damage but they won’t stop the transfer from being successfully applied. For especially delicate materials, some people will put a layer of thin fabric over the garment that they are wanting to add a design or image to, acting as a more substantial barrier. This can work, although finding the exact thickness that you need can be incredibly difficult. Can You Fix the Damage Done? What happens if you have tried to heat press polyester garments and cause damaged to them by doing this? Is there any way of sorting this out and trying again or is the t-shirt completely ruined? When people scorch their t-shirts using a heat press it is common to go online and look for help. This is why you will find threads in online forums discussing situations like this. Unfortunately, there is no fixed answer that will help you out here. There is no magic solution that will remove scorch marks or glossy areas from polyester after a transfer has been applied. First of all, you will want to wait until it cools down. Sometimes, what looked like a damaged area can actually be fine once you let it settle for a while. Don’t rush into trying to fix something until you know that it is really damaged. One common suggestion is to wash the garment. This can be a solution that works if you see some lines on the fabric that shouldn’t be there. Some people also use a stiff scrubbing brush to try and make any press marks less noticeable. So, Can You Heat Press On Polyester? The Conclusion! Many people have ruined polyester garments over the years by trying to apply designs or logos through a heat press. This kind of fabric is very difficult to use with a heat press, although that doesn’t mean that it is impossible. If you take the option of using a more suitable material – like cotton – this will make your life a bit easier. This will give you a faster and more straight-forward job to carry out. When you simply have to use polyester then a careful, cautious approach is needed. Use products that are designed for lower temperatures and be as gentle as possible. It may take a number of attempts to get the results that you are after but it isn’t impossible to do so.